Frankenstein is one of those really iconic stories. I thought it was interesting to read a book that not only linked in with the story of Frankenstein… but also had it slightly different, due to the fact that it’s a steampunk novel. I thought that Alasdair was a really interesting character and it was good to have the opportunity to see the world from his perspective. It was really good to see the prejudice of people against those who were different… though it seemed weird there were so many people who hated those with clockwork parts. I also wasn’t entirely sure if it was supposed to be illegal… or just that most people hated it so much, that those in authority just persecuted those in that line of work for the sake of it. 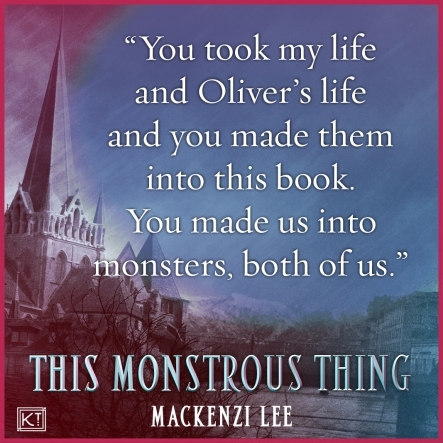 I found myself on edge for a lot of the book, since although it was obvious there was more to the story of Oliver’s death than had been revealed at first, it did become a bit repetitive that there was more to the story. 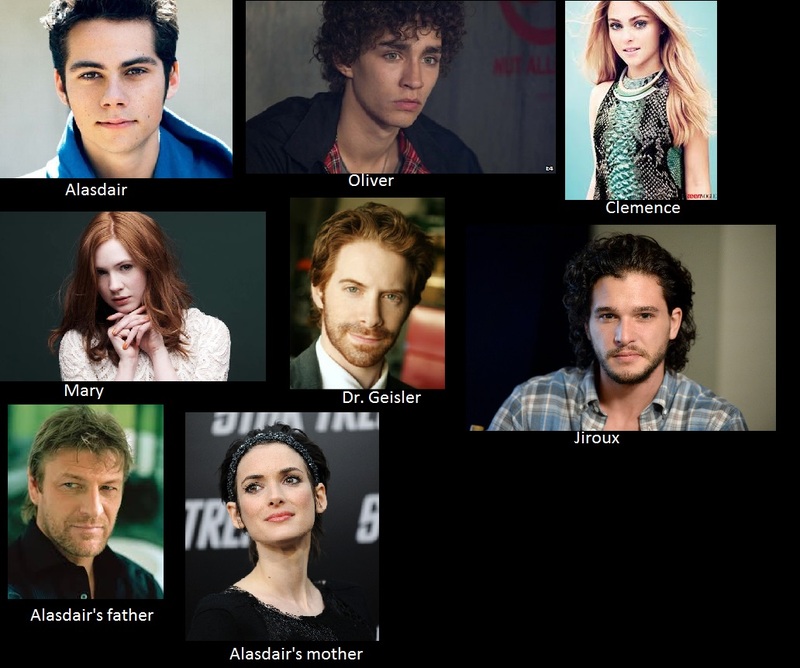 I would have liked to be able to see more interactions between Alasdair and Oliver. I thought there was a lot of potential there that wasn’t explored as well as they could have been. I did think it was fairly obvious who was the culprit who wrote Frankenstein. I really didn’t like Mary’s character. 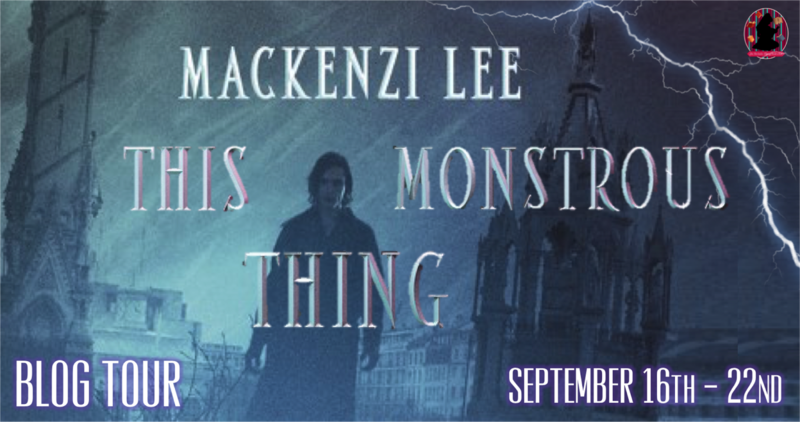 Although I originally thought she was a goood person, I was seeing her through Alasdair’s eyes… and when I began seeing her outside of his memories, it was clear that she wasn’t a nice person. 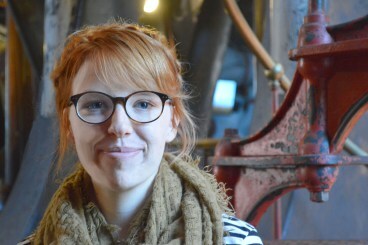 I did really like Clemence’s character and I would have liked to see more of her in general. 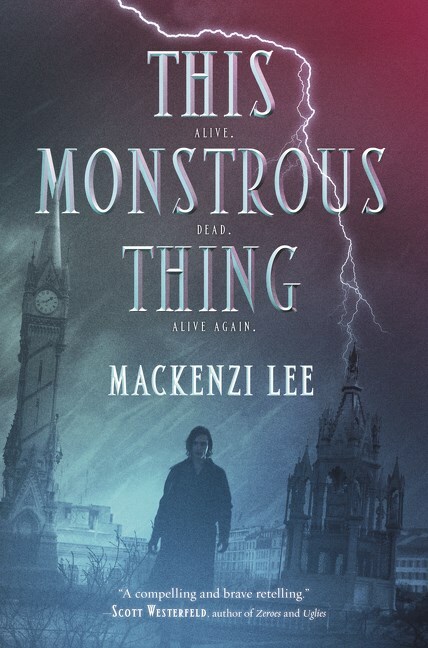 The setting of this book was really good… but some of the language used came across as too modern, especially with the use of modern swear words. I think it would be good to read a sequel to this book. The parallels between Frankenstein and this book are interesting, despite Frankenstein being modified in order to fit in with the steampunk setting. I did find this book really quick and easy to read and it was very entertaining. There are some elements that I expect will stay with me for a while. 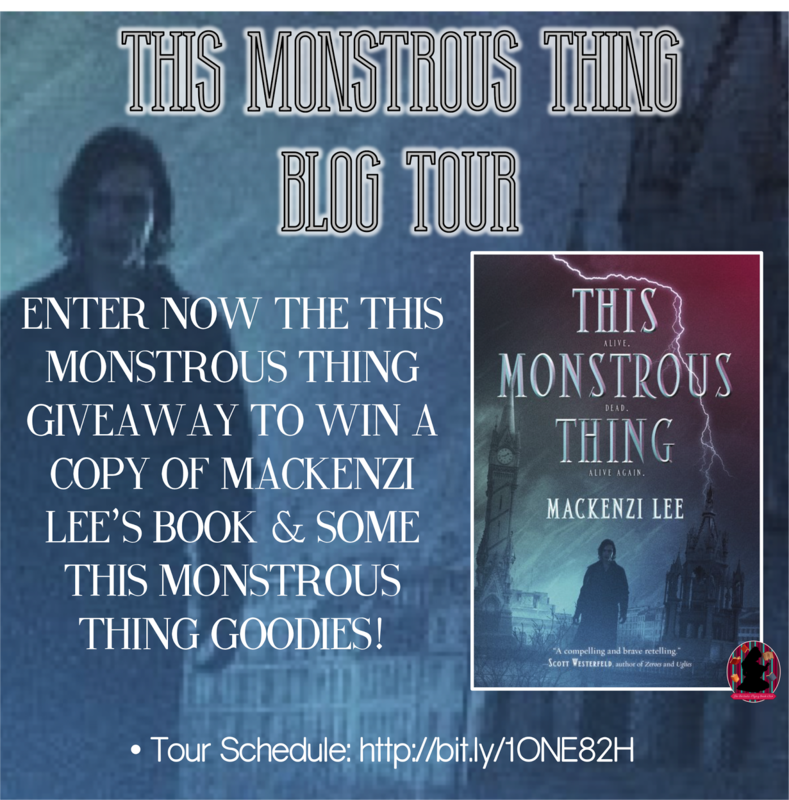 Follow the This Monstrous Thing by Mackenzi Lee Blog Tour and don’t miss anything! Click on the banner to see the tour schedule.